The most important part of getting an Iran visa is to get your Iran visa authorization code, which is a letter of approval of your Iran visa application. This is a 2-page PDF file and is also known as the “Iran Visa Grant Notice”, “Iran Visa Approval”, “Iran Letter of Invitation”, “Iran Visa Reference Number”, or “Iran Visa Tracking Code”. In fact, all of mentioned phrases are synonyms and refer to your Iranian visa approval.  What is an Iran Visa Authorization Code? This is not actually a code but it is a confirmed and approved result of your Iran visa application. In fact, having the Iran visa authorization code means your Iran visa is approved and you only need to pay the visa fee and receive your e-visa by email or collect your Iran visa from an Iran Embassy/Consulate or International airport inside Iran on arrival. The Iran visa authorization code or Iran visa grant notice contains your picture, application ID, place of lodgment, applicant details, and all other visa grant details. Infographic: Iran Visa Authorization Code, Jan. 2019. How to Get the Iran Visa Grant Notice? Receive a Submission Notice. (Please note that it is not your visa approval. It is only a receipt showing you have successfully submitted your Iran visa request). Wait between 2 to 8 weeks to receive the result of your application by email. You can check the status of your application online on the MFA e-visa website. In case of visa approval, you will receive your Iran visa grant notice by email. Receive an invoice by email and pay the service fee online. Receive your Iran visa authorization code in only 2 days. How Much Does It Cost to Get Iranian Visa Approval? As we explained earlier in this post, you have two options to get your Iran visa authorization code. You can apply directly for your visa through Iran e-visa website which is free of charge and if they approve your Iran visa application, you will get your Iran visa authorization code for free. However, statistical records show that the rejection rate for direct individual applications are high and in case of approval, it will take between 2 to 8 weeks for the MFA to issue your Iran visa grant notice. If you choose the second option and apply through an authorized travel agency, you have to pay a service fee to them to get your visa approval. It costs €40 and you will be confident that they will get your visa approval for sure and in the quickest time possible. Usually it only takes 1-2 business days for travel agencies to get the Iran visa authorization code. Infographic: Applying for Iran Visa through MFA E-Visa Website vs. Appointed E-Visa Agency, Jan. 2019. Iran visa authorization codes are valid for about 30 days. It means you must submit your passport to an Iranian Embassy/Consulate or Iranian international airport before its expiry date, pay the visa fee, and collect your visa. The visa grant validity date is printed on the “Grant Details” part of your Iran visa grant notice. Please be careful to select the proper place of lodgment when filling in your Iran visa application form. This is the place you have to submit your passport and pay the Iran visa fees. If you have applied individually in the MFA e-visa website and have received your visa grant notice by email, it is impossible to change the place of lodgment and you will need to apply again if you intend to collect your visa from a new place. Anyways, if you have applied through us, we can change it in few hours. Please take care to provide a valid email address that you have access to in order to receive your e-visa. You will receive your visa authorization code and Iran e-visa by this email address. If your request for a visa is rejected by the MFA, you can reapply after one day and try your chances again. We have many clients who applied individually and got rejected and then came to us. We reapplied on their behalf and received their visa approval. Please consider that we are not allowed to apply for your visa if you have already applied yourself and your application status is pending. You have to get a rejection notification or cancel your current application and then try to apply again through the official travel agencies such as us. Unfortunately, there is no option to cancel your application online. You have to contact the Iranian Embassy (where you have chosen as place of lodgment in the Iran visa form) to cancel your application. We, as an official MFA appointed Iran e-visa agency, are only allowed to apply for single entry tourist visas. If you need any other type of Iran visas, you have to apply directly yourself on the MFA e-visa website or ask your inviting entity in Iran to get your Iran visa authorization code.